Every time I’m back to Tuscany I can’t miss the chance to visit my friends at Giusti Cave – Grotta Giusti. This incredible place, unique in its kind, is located in Monsummano Terme, in the province of Pistoia. Giusti Cave is an ipogean carsic cave located over an underground thermal spring. It shares its name with the owners of the lime cave which was situated in this very location and thus permitted the discovery of the thermal spring in 1849. The cave workers opened an entrance to the natural cave by chance, and shortly after the exploration of it began. Later the discovery led to the establishment of the thermal resort. The water at a constant temperature of 34 centigrade degrees were found to be beneficial for many conditions and many were the illustrious guests who visited the cave, including Italian Renaissance hero Giuseppe Garibaldi. For many years Grotta Giusti has been a meeting point for thinkers and poets. Giuseppe Giusti, the owners’ son, arise as famed poet in 19th century. 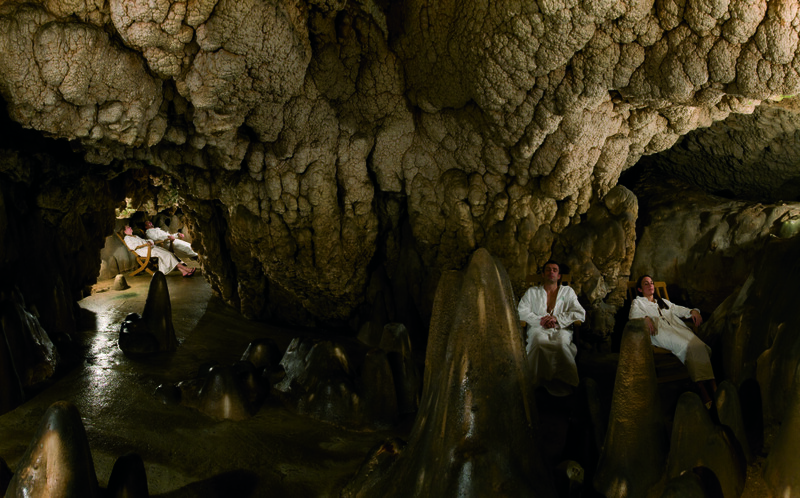 Nowadays the cave is a modern thermal complex which includes a hotel and a top level spa. 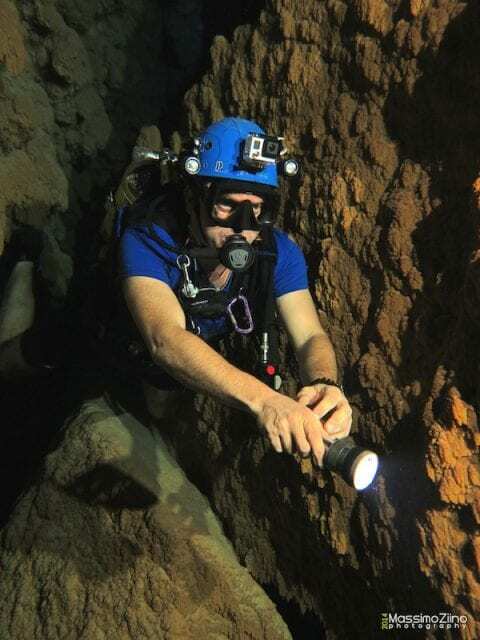 Still, the owners graciously keep allowing the divers to visit the cave, granting therefore a unique diving experience to visitors from all over the world. 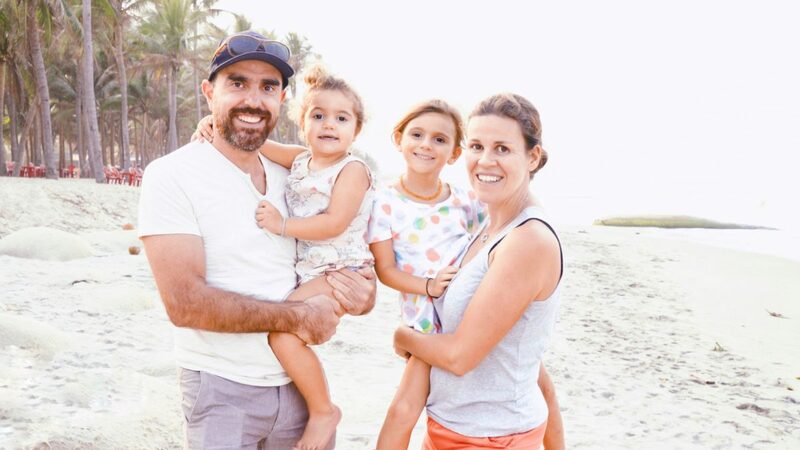 The divers team guiding the visitors is led by Luciano Tanini and includes highly qualified professionals. The maximal depth of this dive is 18 metres and the flawless organization grants a safe and exciting experience. To enter the cave you have to pass through the spa: definitely the most luxurious entrance for a cave you could imagine. The dive starts from a small lake called Limbo. A vertical staircase will take you there after crossing a hall full of majestic mineral aggregations. No need for diving suits here, just shorts and sneakers. The fractures you will cross are often barely wide enough for you to pass, and now and then you will reach small air bubbles where you can share your feelings for this fantastic dive with your companions. One might wish to stay in the water for hours, but try not to exaggerate: considering the water temperature, beside feeling the beneficial effects of the thermal spring, you will also feel ‘cooked’ once you get out. Giusti Cave it’s a very unique place, and diving here is an exciting experience I highly suggest to anyone with a strong sense for exploration.